Our Flagship Salon is privileged to be set in the beautiful Market Town of Henley-In-Arden. Painstakingly restored, this Grade ll listed building has been reimagined to retain all that was & introduce it to all that can be. With two open fires, one courtyard garden, an abundance of natural light, space to Work, Read, & Just Be, our newest Salon has been designed with your time in mind. We’re sensitive to time being a precious commodity for us all & have designed our Henley-In-Arden Salon to work around your needs. If plugging in & working is where you’re at, be our guest, all stations have integrated sockets & chargers. If you want to bring your furry friends, please do, doggy treats are on demand. If you just want to curl up by the fire & Be, we’re total advocates. & if it’s INSPIRATION your looking for, it goes without saying,we have it on tap! Bring your children, meet your friends, grab some lunch, it’s all good by us. We hope you’ll feel that our home is an extension of your home & be inspired, uplifted & delighted any time you spend here with us. We promise at Aesthetics to help you be your most beautiful version of you. Free parking can be found at the back of the High Street in Prince Harry Car Park (Prince Harry Road, Henley-in-Arden, B95 5DD). Coming from Hockley Heath, turn left at the lights, at the end of the High Street, on to the Warwick Road (going toward Warwick) and then take the second left on to Prince Harry Road. The salon can be accessed via Stylers Way from the carpark (less than 2 minute walk). Take a look at the current offers and promotions we have for Aesthetics Henley-in-Arden here. 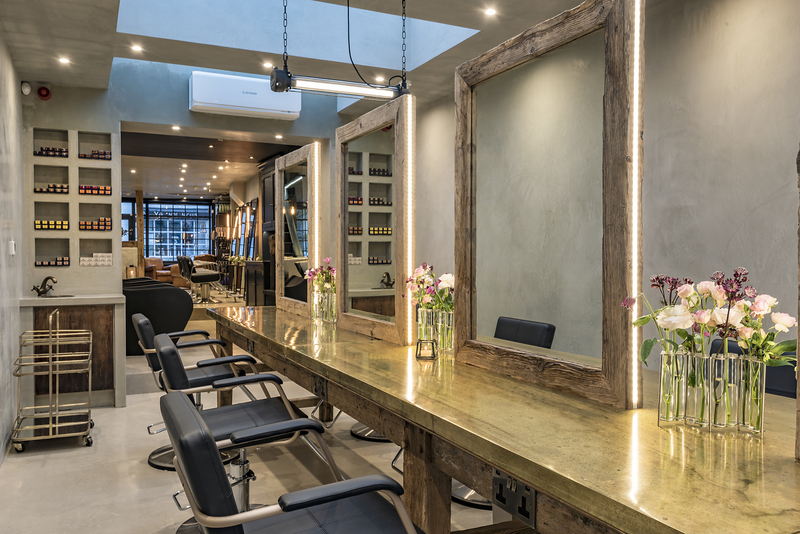 Take a look inside our stunning Henley-in-Arden salon here.